Moen T2503EP Chrome Posi-Temp Tub And Shower Valve Trim Only, from the Vestige bath collection in a Chrome finish. Moen T2503EP Posi-Temp Tub and Shower valve only trim fits any M-PACT common valve system or M-PACT Posi-Temp 1/2" (Valve Available Separately). Moen's Vestige bath collection has richly detailed lines that feature nostalgic designs and accents that compliment traditional decor for today's homes. Tub and Shower valve trim includes single-function pressure balancing Cartridge with back to back capability. The single handle operation adjusts temperature providing ease of operation. 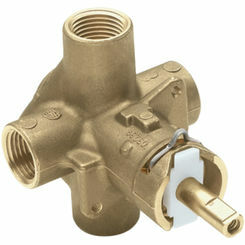 Posi-Temp pressure balancing valve maintains water pressure and controls temperature. 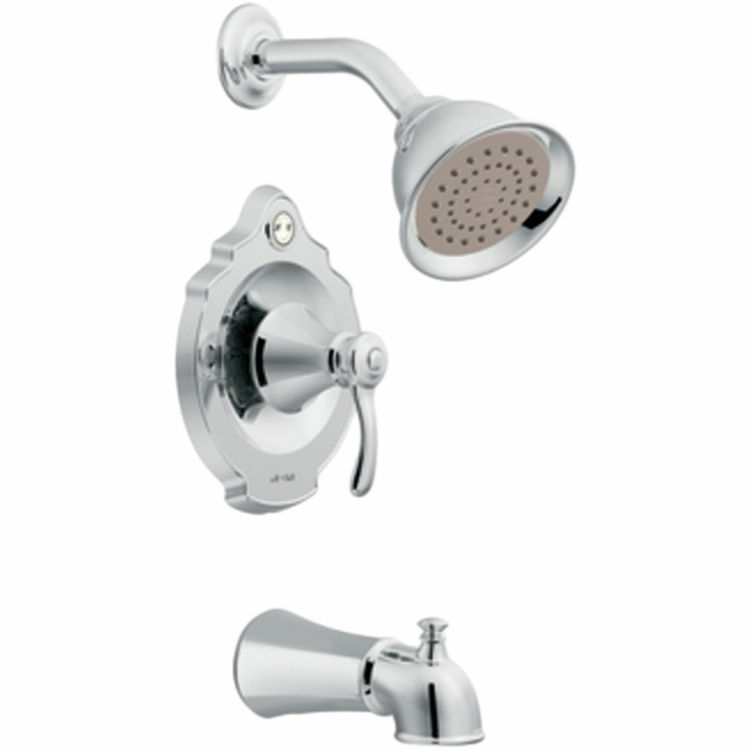 Also includes Eco-Performance Moenflo XL single function Showerhead 1. 75 GPM (gallons per minute), and a 7" slip-fit diverter tub spout. Metal lever handle meets all requirements of ADA ICC/ANSI A117. 1 and CSA to meet CSA B-125, ASME A112. 18. 1 M. ADA Approved. Lifetime Limited Warranty. Shipping Dimensions 7.9" x 7.8" x 4.5"
Gpm: 1.75 gpm 6.65 l/min max.